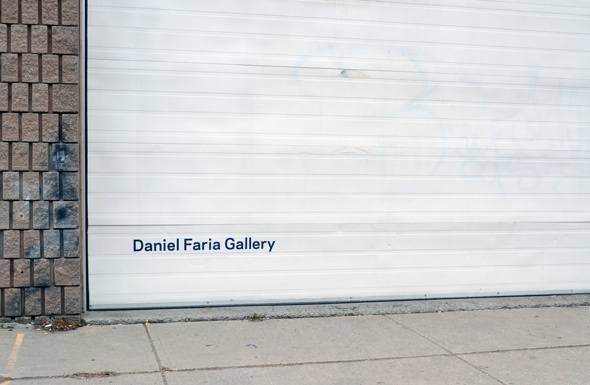 Daniel Faria Gallery is a bright contemporary art space in Bloordale Village, found amongst a strip of industrial buildings in warehouse that was an auto body shop in its last life. 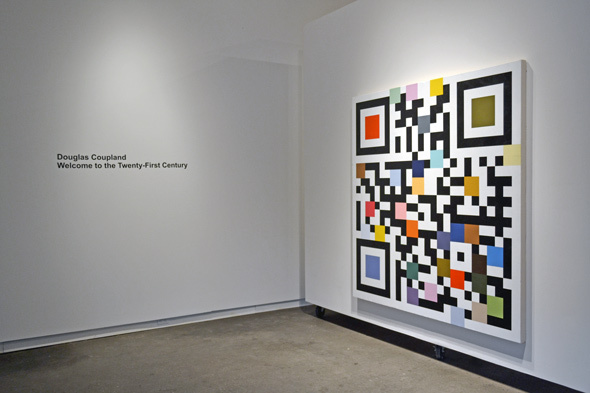 With two exhibits under its belt already, the third and current exhibit features Douglas Coupland , one of the biggest names in Canadian art. 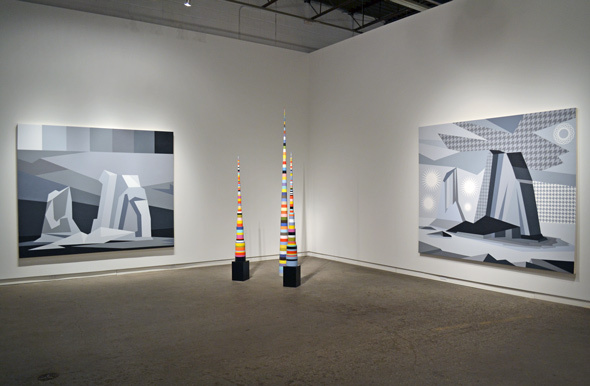 In other words, despite its slightly out-of-the-way location south of Bloor, the gallery has come out of the gates running. 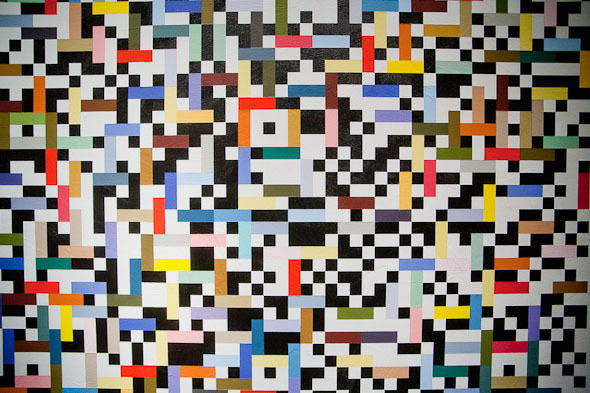 It doesn't hurt that owner Daniel Faria has been working in the gallery scene for over a decade, has a Master's in art history from York University and has perused galleries from Lisbon to New York before opening his own space. 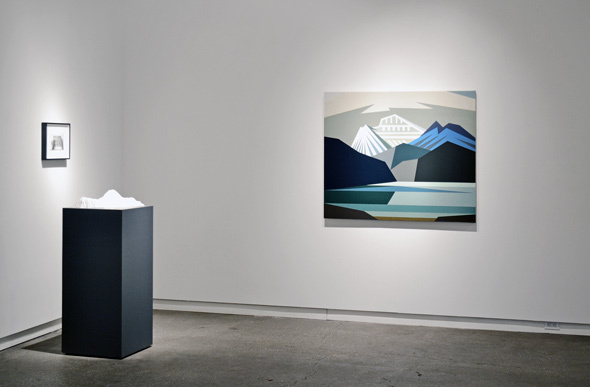 After spending 10 years at the Monte Clark Gallery (later renamed the Clark and Faria Gallery ) in the Distillery District, he's built up the relationships, the reputation and the savvy to go out on his own. Faria tells me he's drawn to the relationship-building that comes with running a commercial gallery. "You work with a group of artists that you represent and hopefully those relationships last and you start to work with artists you really believe in. And you meet and work with collectors and curators," he says. "It's really dynamic and inspiring work." 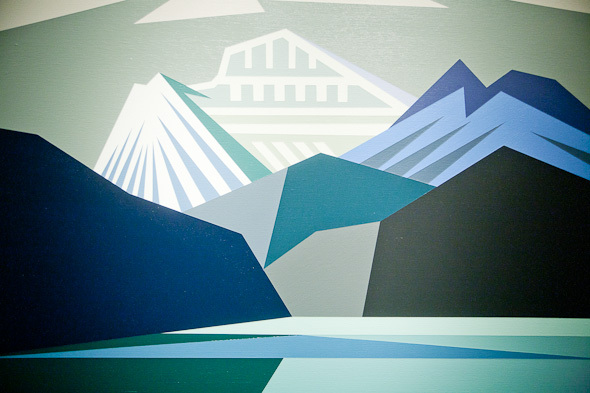 So far, his artist roster includes a handful fine and reputable (mostly) Canadian names, including Shannon Bool, Chris Curreri, Kristine Moran, and of course Coupland. "At this point I've got six artists so I do have to bring some more in but I want to be slow and thoughtful about it," says Faria, adding that the relationship between gallery owner and artist is one that builds up and blossoms over decades, and therefore shouldn't be rushed. He had already worked with Coupland and some of the others during his tenure at Clark and Faria, so it was a natural transition to continue working together. As for his criteria for bringing in new artists, it's too soon to tell how it will pan out but he knows what he likes. "It's a matter of seeing something that totally excites me. Also if I see someone who has grown in the last few years and who I think will continue to keep growing." The tucked away location means Faria isn't likely to get weekend pedestrians wandering in, but he's not too worried about it. "I know the street is new for many people but the space was ideal for a gallery and I just figured that if the shows are good enough, people would come." He also points out that the neighbourhood is changing and there are a number of other galleries within walking distance, including Tomorrow Gallery and the artist-run Mercer Union , for which Faria has sat as a board member in the past. Don't look know, but Bloor and Lansdowne is already a bit of a hub for art galleries in Toronto.